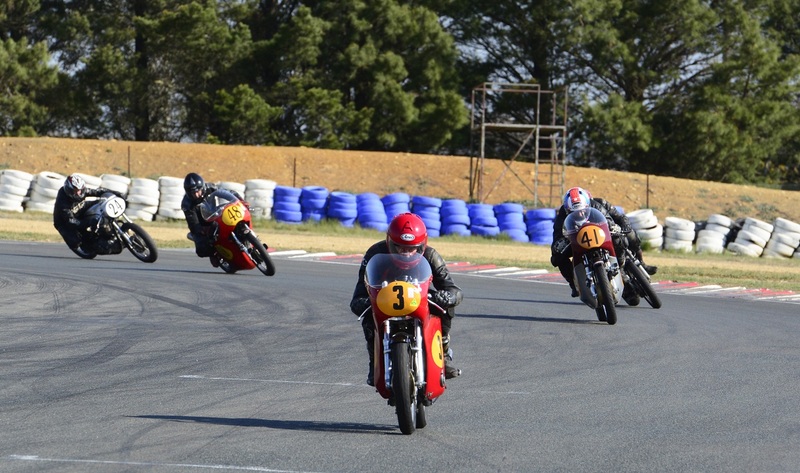 Bumper crowds took advantage of Goulburn’s finest spring weather over the weekend, flocking to Wakefield Park to enjoy the second-annual All Historic Race Meeting. As with the inaugural meeting in 2016, the event was one of the best-attended of the year, with spectators flocking from all over the region and interstate to attend. Patrons enjoyed static displays off the track, and were able to gain up-close views of an assortment of pre-1961 cars and motorcycles. The large gathering of competitors also enjoyed the chance to socialise with their peers, attending a social function in the Wakefield Park Café on Saturday night and swapping stories of racing memories from years gone by. But while the atmosphere off the track was relaxed and friendly, the intensity lifted considerably when it came to on-track competition. 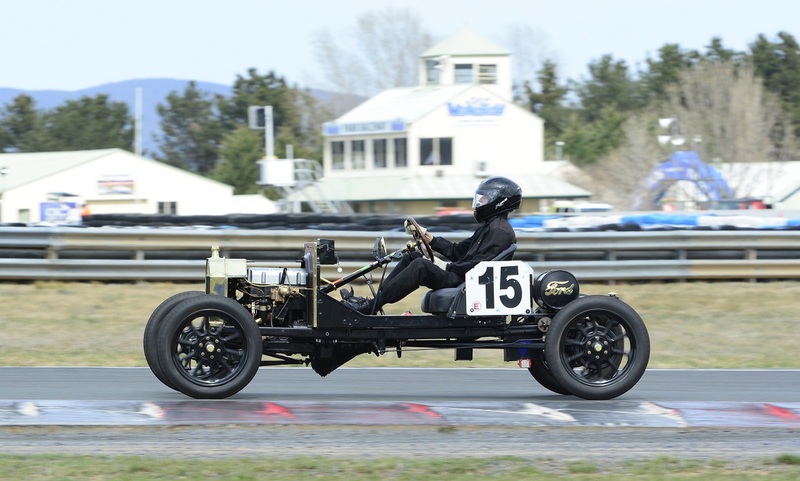 The racing cars were divided into groups based on their lap times and the contests for outright victory were intense across the weekend, with several races decided by less than a second. A particular point of interest for both competitors and spectators were the handicap races, in which the slower cars received a head start, providing the faster cars with the challenge of catching and passing them before the finish. Graham Dunford (1953 Austin A95) won the first two Group A races, resisting pressure from Matthew Snape, while the two handicap races were won by Robert Sales (1938 Marsel Special) and Richard Longes (Bugatti T35B). Barry Bates (Thompson Special) won the first Group B race but was overtaken by Mike Gosbell (1957 Sabakat Lotus) in Race 2. Leslie Wright (1958 Dalro Jaguar) and David Reid (1959 Faux Pas) staged a couple of absolutely thrilling battles in the first two Group C races, scoring a win each and crossing the line less than half a second apart. Groups B and C were combined for Sunday’s handicap races, with Greg Mackie (1959 Cooper Porsche) and Max Pegram (1960 Gemini Ford) each taking a win. The racing action concluded with a “butcher’s picnic” race in which cars from all three groups were combined, Mackie again taking the win from Brian Simpson (Cooper Jap Mk9) and Shane Bowden (1958 Prad 5 Sports). For those not wishing to become involved in the cut-and-thrust of wheel-to-wheel competition, there were also regularity sessions – where competitors are required to nominate a lap time and lap as close to that time as possible – for pre-war and post-war cars. Grant Cowie (1934 Fraser Nash TT) won four of the five pre-war regularity trials with Jon Elbourne (1929 Triumph) winning the fifth. The post-war regularity trial wins were shared between Eric Cossich (1956 Australian Special), Alan McMaster (1961 Nota), Robert Thomas (1959 WRM Sports Car) and Bob Langdon (Austin Lancer Special). In the motorcycles, it was Keith Campbell who dominated the solos, winning in two separate classes. Campbell rode two different bikes over the course of the meeting – a Honda CB77 500cc in the 500cc and Unlimited (Group 1) races, and a Honda CB72 350cc in the 125cc, 250cc, 350cc and Class C races. The weekend’s activities also included a total of five races for sidecars – the first two races featured a progressive grid format, and the Bryce Davies/Brett Gilbert combination took victory in both aboard their 1937 Rudge Special, ahead of Warren Johnson/Lionel Cornwell (1962 BSA A65) and Mick Large/Tim Large (1960 Triumph). The remaining three races used a handicap format; David Dickie and Scott Freeman won the first handicap event on their 1958 Triumph, before Dave Large/Geoff Neil (1954 Triumph) prevailed in the final. Both the Davies/Gilbert and Johnson/Cornwell entries retired with mechanical problems and were forced out of the last two events.